Providing a totally comprehensive exercise movement for the muscle groups in the shoulders, arms and chest it is sure to inspire total fitness enthusiasts. 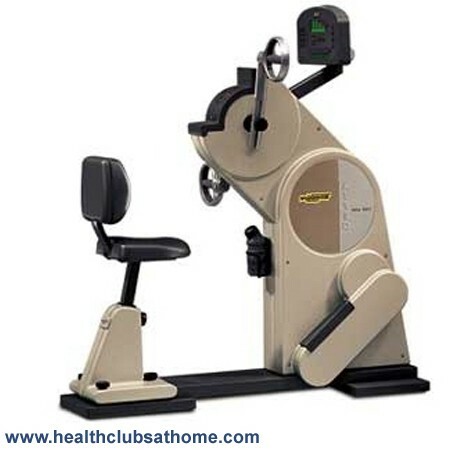 the The Technogym Top XT - upper body bike assures top physical fitness even for those users who can only dedicate a limited amount of time to their training. The Technogym Top XT UBE breathes refreshing innovation into the cardiovascular exercise sector. CPR™, training profiles, tests and manual training routines enable each individual to have the correct and effective exercise programme. And Top XT is absolutely ideal for those users with impairment of the legs or for athletes with leg injuries who wish to continue with cardiovascular training.